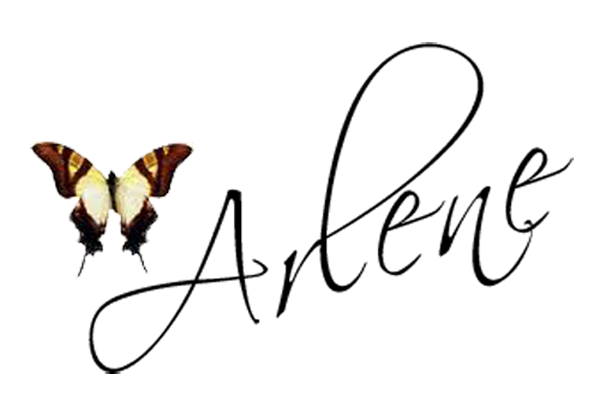 Butterfly Kisses & Paper Pretties: MFT Teasers Day 4! Hi everyone and welcome to day 4 of MFT Teasers! So how are ya doing with your shopping list so far? And what about all those amazing projects the Design Team has shared with you this week? What an awesome, awesome release MFT has lined up yet again! Today the designers are showcasing project using the Bon Appétit stamp set and Contempo Cage Die-namics and stamp set. 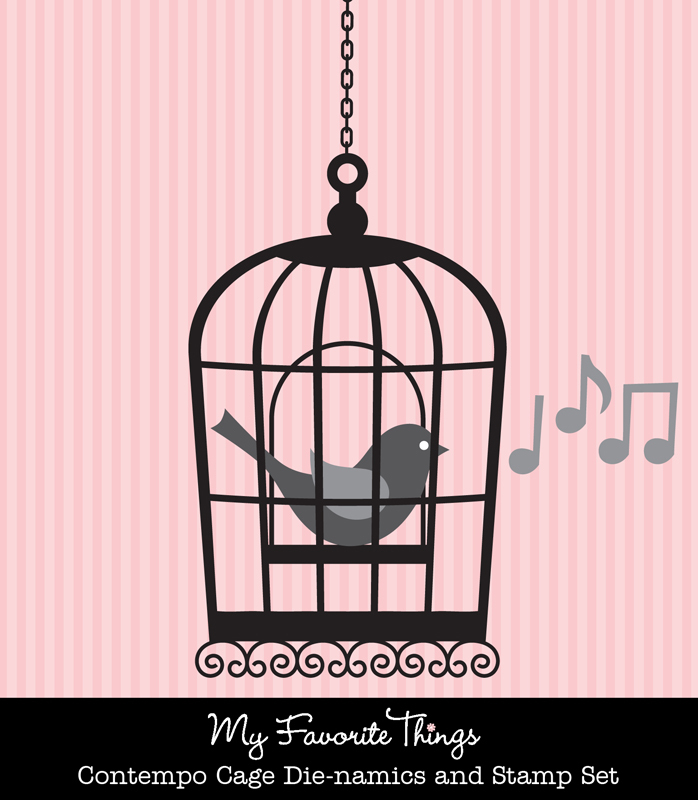 Isn't the bird cage just adorable?! And the little bird with wing?! 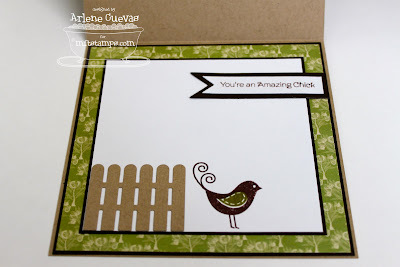 There are so many coordinating and "accenting" stamps in the set, the possibilities truly are endless! I cut out the little bird in kraft card stock and I used one of the coordinating stamps to create the "lines" on his little wing. I used a little itty-bitty Recollections pearl for the bird's eye. The sentiment is stamped onto kraft cardstock cut out with my Mini Pennants Die-namics. 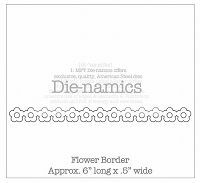 I think layered them on top of the "ends" of the smaller banner from the First Place Award Ribbon Die-namics set. Inside the card, I layered more design paper ad Hot Fudge cardstock. I stamped the little bird in brown ink, then stamped his wing in green ink. I also included the rest of the woodgrain fence that I cut off from the front of the card (can't let those scraps go to waste, right?!) then I stamped another sentiment from the set onto the banners from the First Place Award Ribbon Die-Namics. The MFT release is on October 4th at 10 PM EST. You can attend the release party from 8-10 PM EST here in the forum for fun, games, and prizes! All the new sets and dies will be available October 4 at 10 PM EST. Thanks once again for stopping by today for a visit and for allowing me to share my project with you! I'll be back again tomorrow for more Teasers, so I hope you join us then! 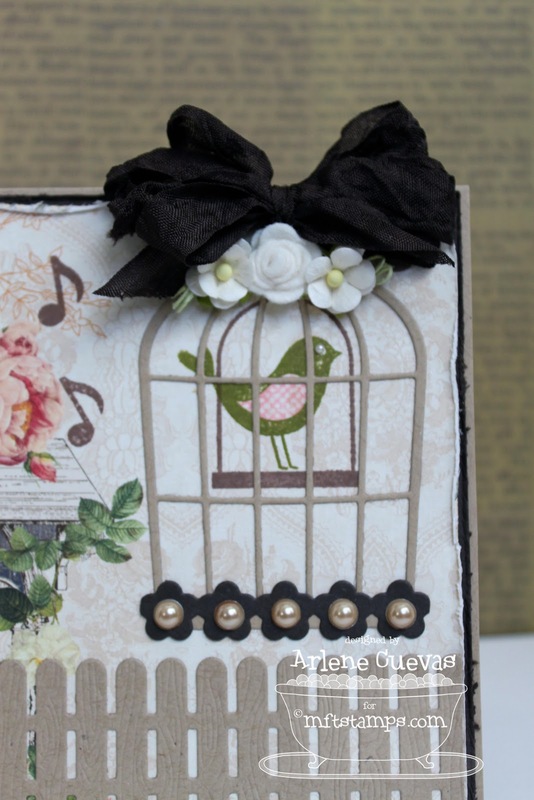 Fabulous use of dies on this fun card!! Awesome card, Arlene!! 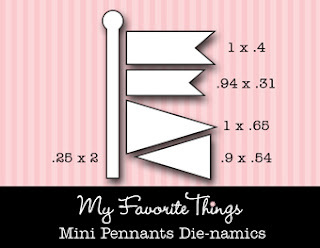 I love the pennants die-namics & the fence. 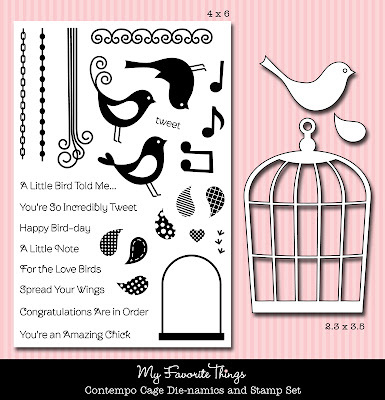 Of course the bird & the cage look amazing too!! Great card!! this is too "TWEEEET"! I love your card the use of dies is fantastic love the dies can't wait to get it all! Just beautiful Arlene! Love your card design and all the dies you used! Cute! 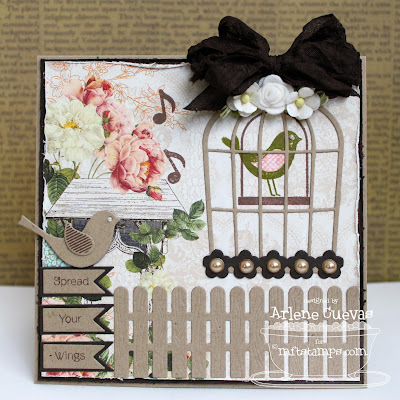 Love the flowers on your birdcage. Those pearl accents on the bottom of the bird cage are stunning! 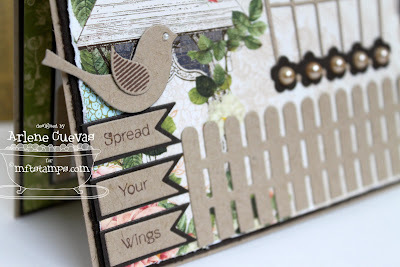 Love all the dies you used especially that picket fence! THis is so pretty! I'm in love with the dies. Love the little flower/pearl border along the bottom of the cage! Arlene!!! This is so beautiful! I love it! The fence on only a bit of the card, so smart!!! Wow! Your card was adorable! Loved the way you did the bird in the cage and the placement of your other sentiments and things. This is ta DIE for! So darling! Such a gorgeous vintage vibe Arlene!! This is so pretty! I love all of the different design elements that you used. 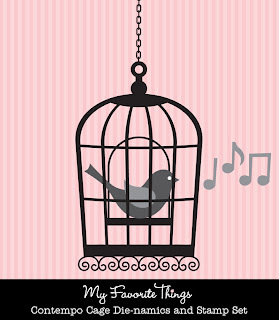 omg, that bird cage is awesome! love your card! 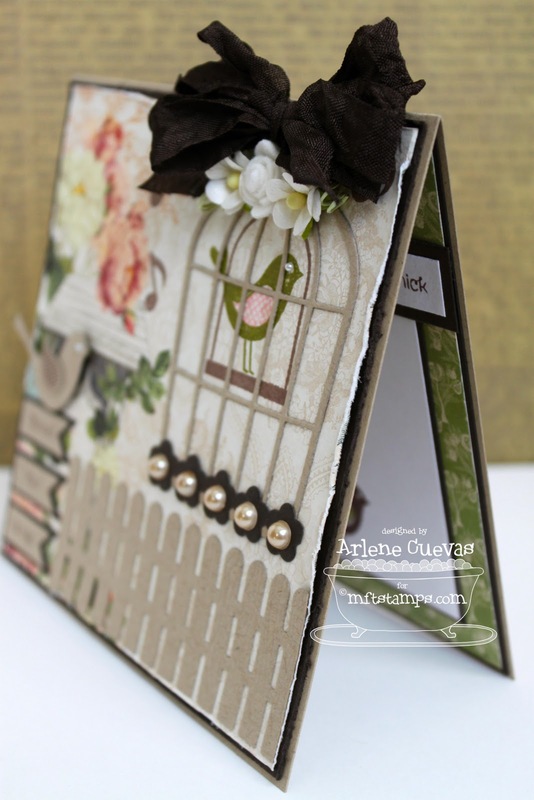 Beautiful shabby chic card Arlene - love the paper choice. This is beautiful Arlene. Love how you used all the die. The little banners are such a sweet touch. Very pretty card! Love that you used two birds! Like the sentiment, too! what a beautiful card. 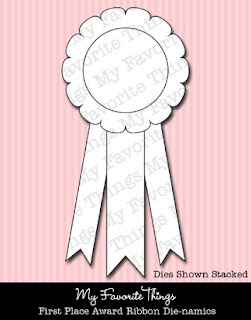 I love the dies used, but the black bow is what really made me go 'wow'. I don't know why, I guess I would not have picked that strong of a color for this type of card, but it totally fits. great card. Love the paper!